I recently discovered the world of slow cooking. While I’ve always known slow cookers existed, I just never paid much attention to them. Slow cookers are amazing. I don’t know how I went 36 years without ever using one. You basically throw all the ingredients in your slow cooker (I have a Crock-Pot), and it does everything for you. Now, I do almost all of my cooking using a slow cooker. And I have annoyingly documented my new-found meal-prep across all my social media platforms. When I first started using the slow cooker, I was worried about the device. Will it get too hot? Will it burn down my apartment? Can it be left unattended? My mom leaves her slow cooker on while she’s at work, which makes me extremely nervous. I am the person who will go home during my lunch break just to make sure the slow cooker didn’t catch fire. Admittedly, I still have some trepidation about it. However, that has not stopped me from cooking meat loaf, salsa verde chicken, carnitas, chicken and veggies, Sloppy Joes, etc. If it can be made in a slow cooker — and almost anything can — I will try it. Beginning today, I will document my slow cooking adventures with monthly recipes for The Monitor, which will include a video of the process. 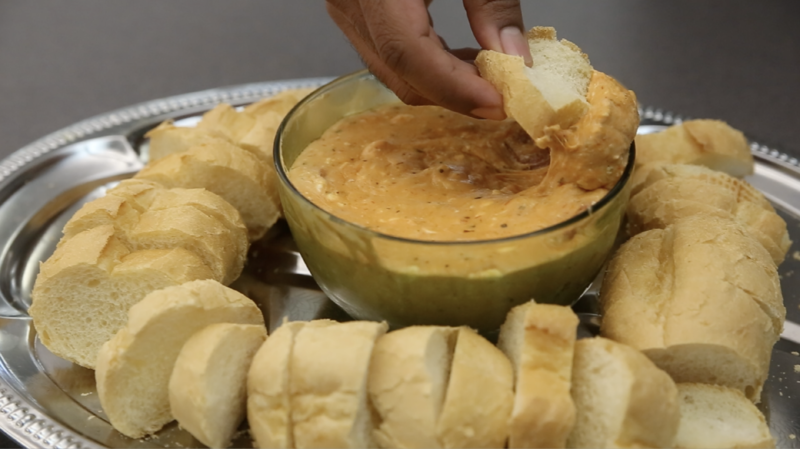 I am kicking it off with a pizza dip perfect for a Super Bowl party. Appetizers are an essential part of any party, especially for a football event. This recipe requires few ingredients, cooks in one hour and is sure to be a hit while watching Sunday’s big game. With this recipe, you will have more time to enjoy the game and to mingle with other party guests. Try it out this weekend and let me know what you think. Directions: Place all the ingredients in a Crock-Pot and cook on high for one hour. Once the cheese is melted, turn to low. Serve with bread/baguette slices. — Recipe from The Dinnertime Divas. Peter Rasmussen is the features editor for The Monitor. For slow cooker tips or recipe suggestions, email prasmussen@themonitor.com.